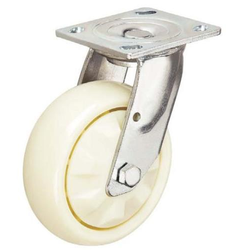 We are one of the leading manufacturers, traders, and exporters of Caster Wheel, Polyurethane Caster Wheels, Extra Heavy Duty Wheels, Heavy Duty Caster Wheel, Light Duty Caster Wheels, etc. 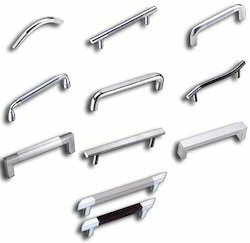 These are available in different sizes, shapes & dimensions and appreciated for their durability, optimum quality & perfect finish. 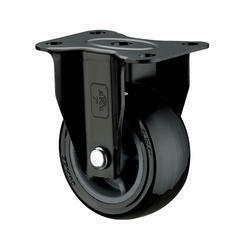 Our range of Caster Wheels & Furniture Components is also considered ideal for both domestic and commercial purposes. 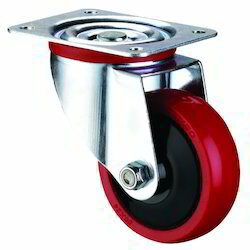 We are a leading Manufacturer of pu caster wheels, polyurethane caster wheels, polyurethane caster wheel with ci core, polyurethane caster wheel with taper roller bearing and polyurethane caster wheel with double ball bearing from Mumbai, India. 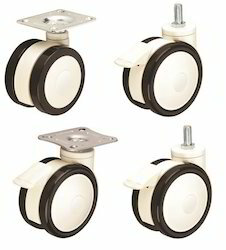 Leading Manufacturer of extra heavy duty caster wheel with taper roller bearing, extra heavy duty nylon wheel with taper roller bearing, extra heavy duty caster wheel, extra heavy duty polyurethane wheel and extra heavy duty nylon caster wheels from Mumbai. 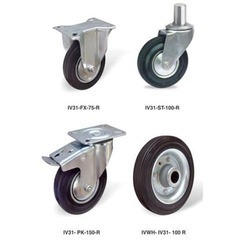 We are pleased to introduce ourselves amongst the leading firms engaged in manufacturing, supplying and exporting wide range of Heavy Duty Caster Wheel. 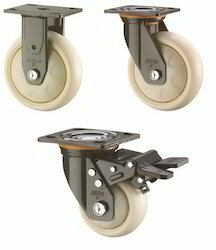 They have smooth finishing and are durable in nature. 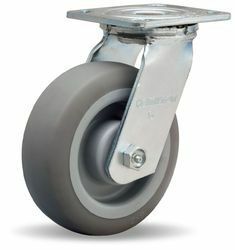 With state-of-the-art infrastructure facilities, we are engaged in offering a large gamut of Medium Duty Caster Wheels. 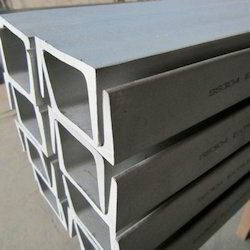 Our quality experts ensure their quality by testing them on various parameters. 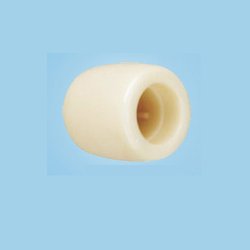 Offered products are available in market at very affordable prices. 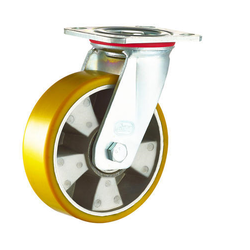 Manufacturer of a wide range of products which include high temperature wheels and high temperature caster wheels 580. 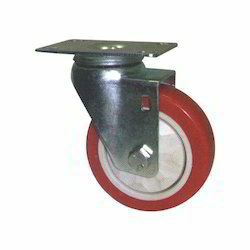 To furnish the diverse requirements of our clients in best possible manner we are engaged in offering a wide range of Pneumatic Rubber Caster Wheel. 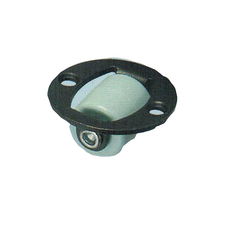 These are highly appreciated among our clients due to their superior finish and resistant to corrosion nature. 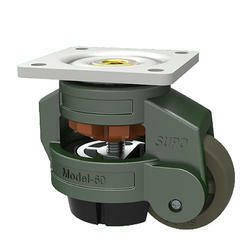 Furthermore, we also assure timely delivery of our products. 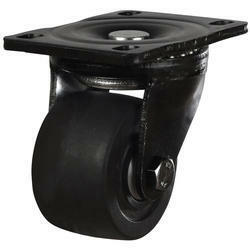 Our product range includes a wide range of pallet wheels. 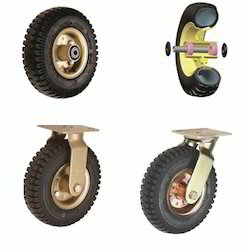 Manufacturer of a wide range of products which include skidproof polyurethane wheels, skidproof wheels with pp core double ball bearing, heavy duty skidproof caster wheels with durable ball bearing and skidproof double ball bearing wheels. 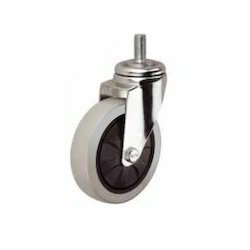 With the assistance of experienced and dedicated professionals, we manufacture, supply and export an extensive range of Ball Caster Wheel. 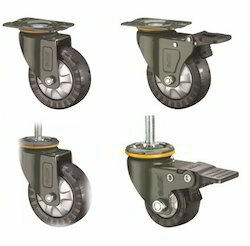 Our entire product range is quality assured and are delivered as per the exact requirement of clients. 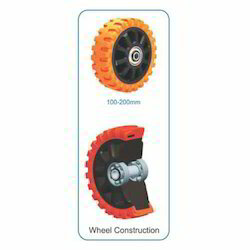 Our range of products include polypropylene wheels with double ball bearing and heavy duty polypropylene wheels with durable ball bearing. 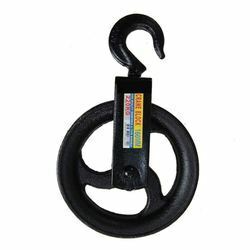 We are prominent names in the industry, engaged in manufacturing, supplying and exporting quality approved range of Revolving Caster that are durable and are offered in well-defined time frame. 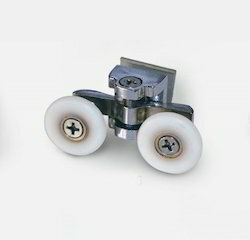 They have smooth surface finishing. 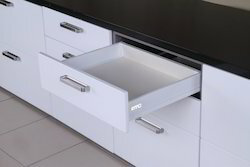 Being the leading names in industry we are into offering a quality approved range of Kitchen Fittings. 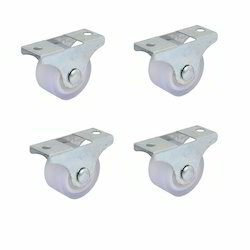 These are highly acclaimed for dimensional accuracy and perfect finishing. 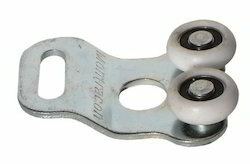 Moreover, we assure safe and timely delivery of our products. With vast experience and knowledge we are involved in offering a premium quality range of Window Door. 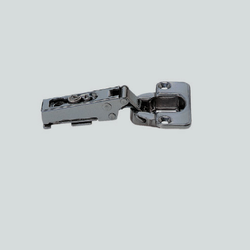 These are highly reckoned among our clients due to their fine quality and high durability. 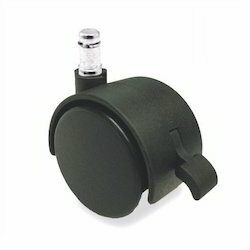 Additionally, we also assure timely delivery of our products. 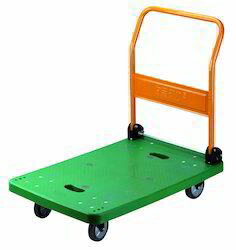 Leading Manufacturer of shoe rack from Mumbai.